Expansive, beautiful, natural tidal flats are exposed at low tide throughout the entire year. These spacious beaches are the perfect place to relax with large groups of family, friends, or significant others. 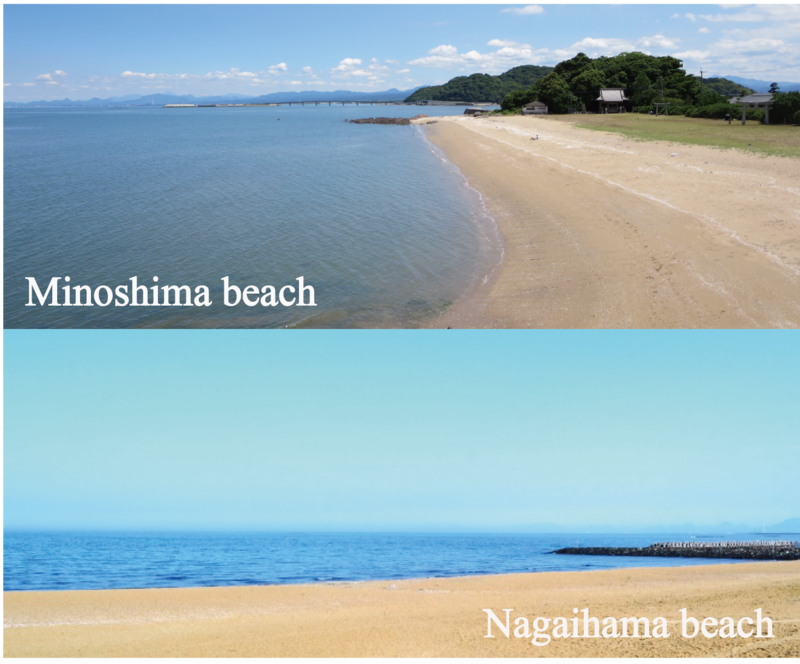 Both Minoshima and Nagaihama beaches offer great views and visibility and very clean making them safe for children. The view of the sunrise from these beautiful sandy beaches is truly fantastic and highly recommended.